A happy Tuesday to all! Today's card features the beautiful Botanical Butterfly DSP from Stampin' Up! 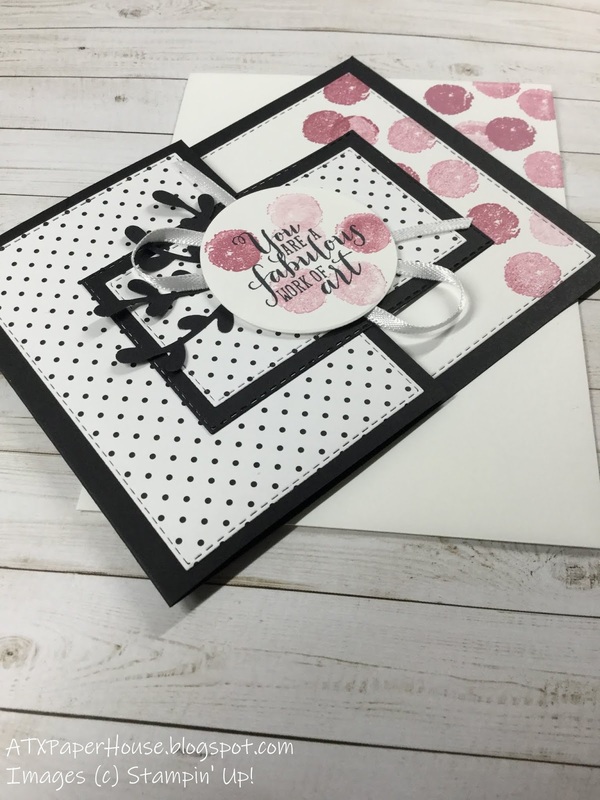 I choose to use the dotted side of the paper to create a fun and stylish card in pinks and blacks. This card is just fun to me and brings a smile to my face. 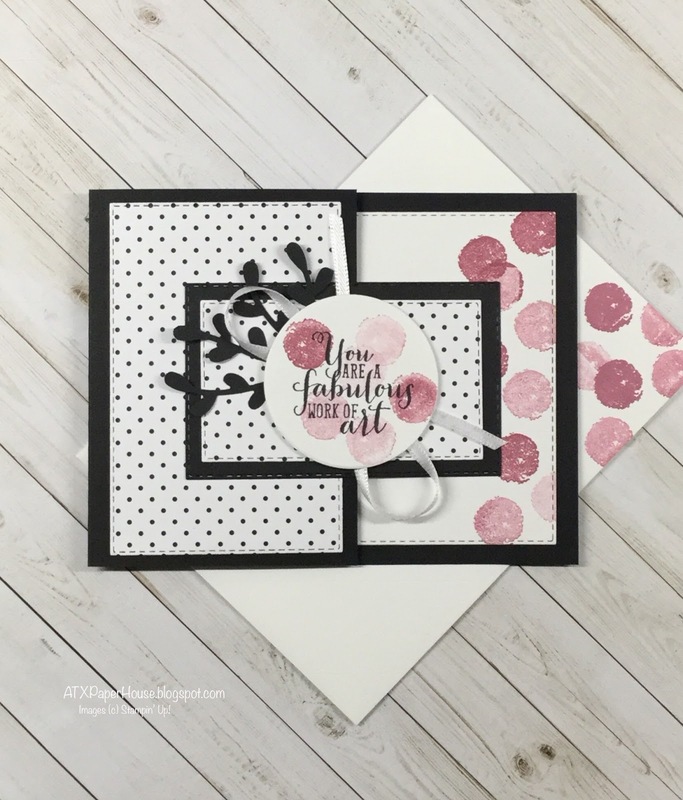 The pop of pink against the black and white is perfect and I have to say one of my favorite color combinations. So much so that I chose it as my wedding colors going on nine years ago...still just simple and classic. 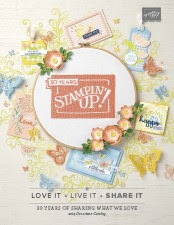 The stamp set Work of Art is an oldie, but a goodie. 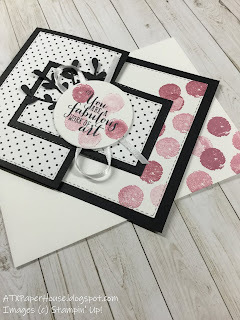 The pink dots are inked with Sweet Sugarplum once and then stamped on the paper three times before going back for more ink. It gives a nice contrast of color between dark and light. First time playing along with this challenge! What a lovely Joy Fold design! I love how the large "artsy" dots on the right play off of the more formal polka dot pattern on the left. It's a beautiful juxtaposition! Thanks for joining us at Festive Friday! Card: Giving a card for a guy a try! Card: Luck of the Irish!